Heya everyone! Hope you have all had a fabulous start to the week! I know I did. Last night I went to see Taylor Swift at the 02 and she was absolutely incredible! She's so amazing live and in my opinion sounds better than she does on the album! I just love her so much and her special guest was Emilie Sande and they both did a duet of 'Next To Me'. It was just incredible! So happy I've seen my favorite female singer...like ever, live! (see what I did there). But anyway, enough about that let's get on to the subject of this post. So if you are a fellow beauty blogger or read beauty blogs and watch youtube videos a lot then you will know how popular the Bioderma Micellar Water is. I don't know if this makes me a bad beauty blogger or not but I've never actually tried bioderma. It was one of the most hyped up products of 2013 and I feel incredibly naughty that I haven't even searched for it let alone try and purchase it. I've tried micellar waters but never that particular one which is like the King (or Queen) of micellar waters. However, when I was browsing instagram half way through January, I noticed a lot of bloggers posting pictures of this particular product and the first thing that came to mind was 'hmm A Bioderma Dupe' perhaps? I then logged on to the computer and started browsing bloggers and sure enough a lot of people were saying what an amazing dupe this is. I just had to purchase it. If you don't know what Micellar waters are, they are basically a cleansing water that allows you to remove make up from all parts of your face, eyes and lips without any problems at all. Now like I have mentioned above I have already tried a few and when it comes to my eyes they are left stinging like absolute mad and I'm just never able to get everything off because I'm hopping around my bathroom trying to make the pain go away. However, that problem has gone away since I have purchased this bottle. The first thing I absolutely love about this water is the packaging. It is so simple, clean and just gets straight to the point with everything the product does. The bottle is 400ml and according to the bottle should be enough for 200 uses. The main product itself is of course absolutely amazing. This cleansing water is designed for sensitive skin and removes all make up from your face, lips and eyes. I find it does all of that and more. I find the water extremely refreshing on my skin, my face feels and looks incredible clean. If I am not wearing any make up I will still go over my face with this as it is really cooling and refreshing on the skin. The water is also hypoallergenic and has no perfume to it which I absolutely love as it doesn't sting the eyes. In conclusion I absolutely love this product. I am able to remove all my make up from my eyes with such ease now as it doesn't sting. I can tell this is a product I am definitely going to keep on repurchasing so I'm sorry Bioderma, looks like you'll never be used by me. 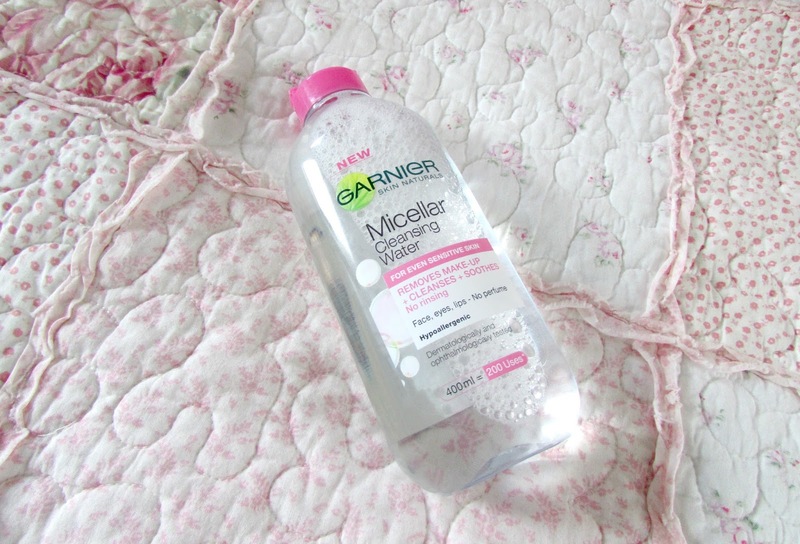 If you're like me and still haven't tried the Bioderma but are looking for a micellar water to try then definitely consider The Garnier Micellar water, which can be purchased at FeelUnique or Boots for £4.99. Total bargain for such an amazing product! 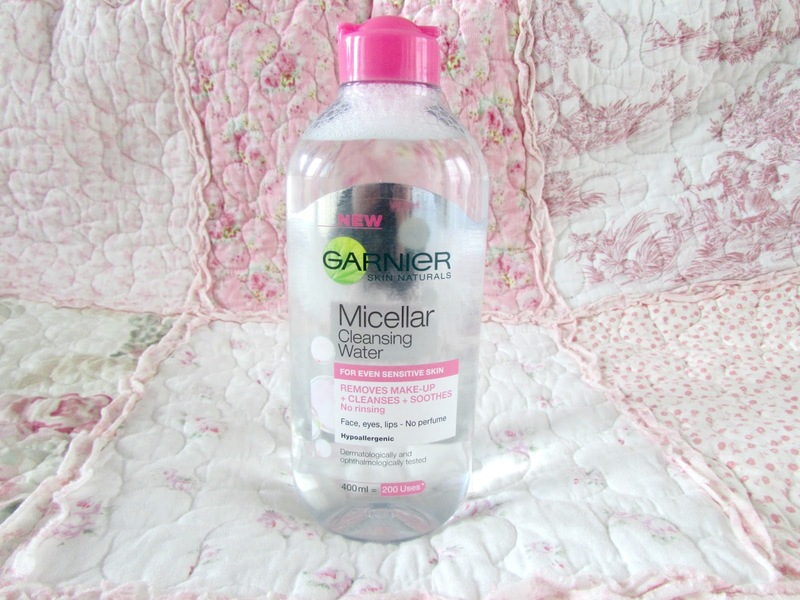 Have you tried this or any other amazing Micellar Waters? I love Bioderma! The two products sound very similar in terms of the way they feel and the way they look. I would really like to try this and see how it compares. If its better or the same I'd rather pay £4.99, such a bargain! I really want to give this a go, I currently use Garnier's 2 in 1 makeup removing water and love it, so I expect this is also great. hearing so many great things about this, need to pick it up! Thanks for the great review! I've been looking for a Bioderma dupe!